Over the past ten years, the North American mission field has experienced dramatic changes, which in turn have required congregations, middle judicatories, and denominations to adapt. Among these adaptations is an expectation for clear goals and quantified progress towards those goals. Church leaders who have never needed to measure their goals and progress with metrics may find this change daunting. The use of metrics—denominational and middle judicatory dashboards, and the tracking of congregational trends—has become an uncomfortable and misunderstood practice in this search for accountability. 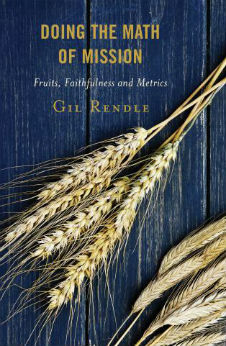 Doing the Math of Mission offers theory, models, and new tools for using metrics in ministry. This book also shows where metrics and accountability fit into the discernment, goal setting, and strategies of ministry. While there are resources for research on congregations, tools on congregational studies, and books on program evaluation, there is a gap when it comes to actual tools and resources for church leaders. This book is intended to help fill that gap, giving leaders a toolbox they can use in their own setting to clarify their purpose and guide their steps. What Type of Visionary Are You?